Five women. One rock star. Who will be the bride in the celebrity wedding of the year? Audra is back from Antarctica. Phuong the email-order bride is free, acquitted of all charges. Flavia's forgiven Jay, now she knows who's really responsible. Gaia the billionaire is determined to get what she wants. And Penelope's sporting a pink diamond engagement ring. 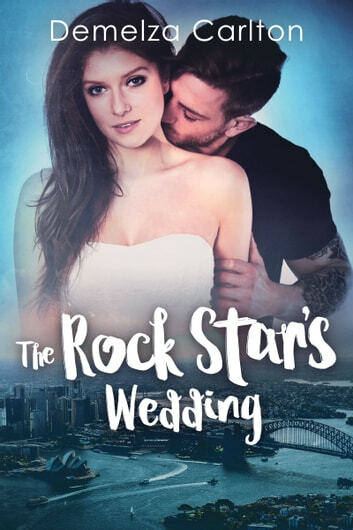 The weather may be as hot as Hell with the mother of all storms brewing off the coast, but Xan knows one thing for certain: come fire or flood or ex-fiancés, there will be a rock star wedding at Romance Island Resort. But the question on everyone's lips is…who will be Jay Felix's bride? My favorite quote is: "When life gives you a man who loves you and truly would die for you, you don't ask for perfection. You take that gift however he comes and you hold onto him." So much of this book is about accepting the love someone has for you, and you for them, without demanding perfection. And when you mess up don't run away, face up to it and don't waste time. Lots of lessons to learn in this book. At the same time a great read with many adventures and surprises.